Commuter Connections operates a regional database where commuters can enter their home and work locations to find a potential match for a carpool. 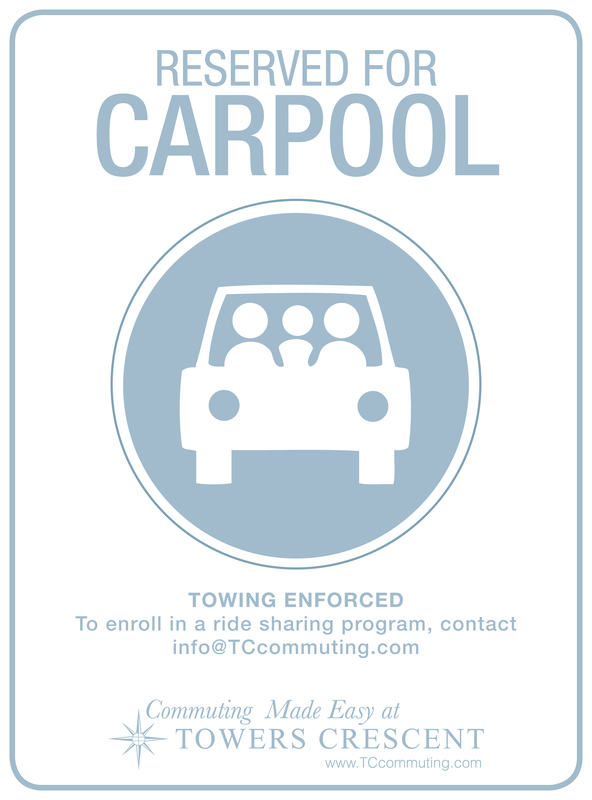 Carpool options are more affordable and you can even make friends along the way! This options also let you take advantage of HOV lanes on I-66 and I-95 as well as 495 Express lanes which will be available in 2012. Explore www.CommuterConnections.org to see who lives and works nearby! Towers Crescent provides priority parking spaces for registered carpools and vanpools. Employees are able to reserve a carpool parking pass by visiting the parking office on the P1 level. Check out our Carpool Map for a better look! To register for parking in Towers Crescent Commutings Preferential Spots download the registration forms and turn them in at the Management Office in building 8000! You Have a Guaranteed Ride Home!